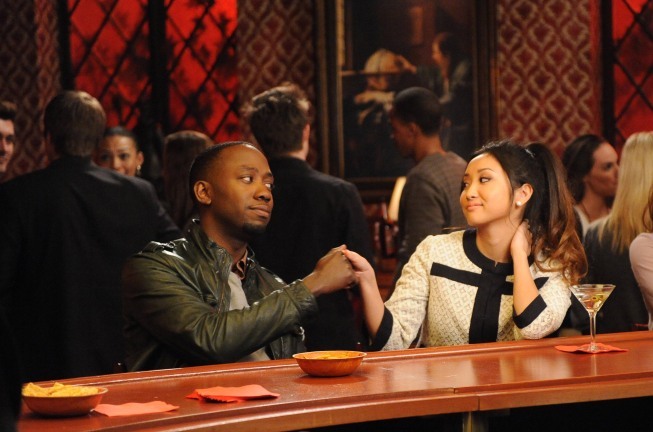 Is Winston (of ‘The New Girl’) the model post-racial roommate? 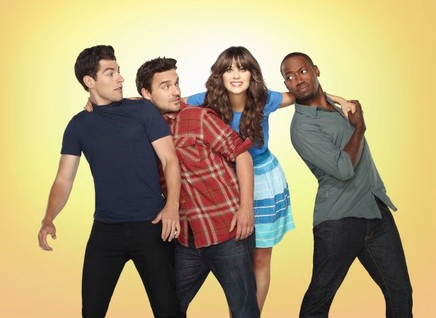 All of this brings me to discuss the meanings and significance of the Winston character on Fox’s The New Girl, a comedy sitcom that is arguably fashioned for a young, white, middle class (but upwardly mobile) viewership that believes itself to be an exemplary post-racial audience. While this show is very much like the Friends of yesteryear, it is now being watched by people like me who can remember 90s shows and expects The New Girl to be much saavier in its accommodation of black viewers. For me, The New Girl privileges a post-racial view of society that is fueled by an abhorrence any form of racial inequality that formalizes the notion that black characters can be deemed as lesser than their white peers. Yet, this contemplation rarely extends to flashbacks of the social origins of Winston’s character, which might exemplify his exceptionalism as a privileged and assimilated personality on the show. As long as Winston is formally shown to have the same options as his white roommates, there is no reason to contemplate the structural issues of racial inequality that make him different from African American’s still plagued by the legacy of racism, disinvestment and poverty in the United States. The messiness of race has been scrubbed clean and sanitized to ensure the peaceful cohabitation of black and white viewers who see themselves in Winston’s assimilation. For me, this tacit understanding makes the space of the loft an important imaginary space that collects the fragmented desires of people so disconnected in real time. For at least one journalist, Winston continues to be a token character whose presence in the loft (i.e. his formal inclusion in white middle-class spaces) has not yet resulted in his full integration into the lives of his roommates. For the record, this writer is a white male and his complaints are about the relative lack of interesting scenarios written for Winston’s character that effectively transform him into a full-blooded personality. A deeper reading of this dissatisfaction might be applied to the rhetorical title of his article, “We Need to Talk about Winston,” a title that parallels the social anxieties about race that an earlier generation more pointedly expressed in Sidney Poitier’s Guess Who’s Coming to Dinner. (It also parallels the movie title Let’s Talk about Kevin, which has more ominous overtones…) The difference here is that Winston did not just come over to his white friends’ loft to have dinner, but he actually moved in, leaving his roommates with the difficult situation of figuring out what to do with him once he’s there. In our post-racial world, the “black roommate” is a prerequisite for attracting a specific viewership (like all of the other tropes in the show), even if writers continue to have some trouble understanding how to make these tropes interact in ways that gives them dimensionality. The relative tension between Winston’s tokenism as “the black roommate” and his narrative role of reinforcing the racial and class critique that is palatable for white, middle class viewers continues to spin his character into a very peculiar orbit – one that seems to leave him with little room to become something else. Romantically, Winston has dated an African American woman who was ambiguously biracial and a Chinese-American woman who pretended she was married to alleviate Winston’s self-imposed pressure of talking to available women. It may be coincidental, but Winston has never dated a white woman on the show, and though every other roommate has ‘kissed’ Jess in one way or another Winston was far removed from any of these transactions. What we have is a character who is sexual without being hypersexualized, a minority who is interested in other minority women, and a former basketball player who did not ‘marry the white girl’ to legitimize his success when he had the chance. Textually, Winston should be pretty interesting for the ways his character purposefully preserves some of the core aspects of black masculinity while seeming somewhat new and nuanced. Yet, he is the least interesting character on the show. Admittedly, his involvement has gotten better over the course of two seasons, but the writers are still struggling to make him into an individual – the paragon of post-racial identity. For me, this situation makes it fairly obvious that the post-racial framing of the show is still a work in progress that many of its viewers would like to believe in, but cannot truly substantiate with concrete details of racial progress and diversification. So, what does this all mean? 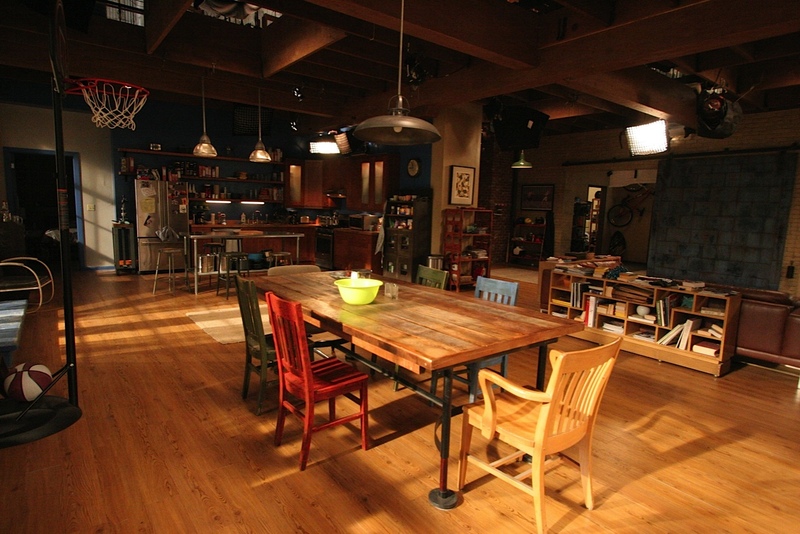 In one sense, it means that the loft set that serves as the setting for these characters patterns of cohabitation in is yet another visual stage for racial experimentation. It is a space that many of us do not live in when we look at our real lives, but it reflects the hope (and some might say, the lie) that we are doing better in racially integrating our everyday spaces. 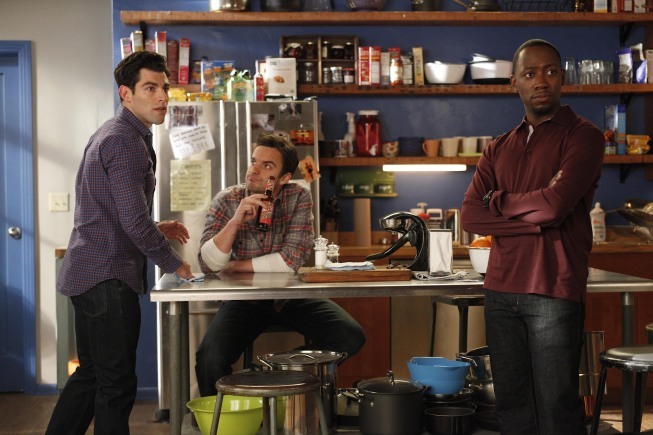 Though there is still an implicit fear of miscegenation of black and white sexuality in The New Girl loft, the horizon of this universe is no longer limited to the black-white binaries of yesteryear; Cece’s Indian heritage and Schmidt’s secular Jewish identity are easily as prominent in the formation of their characters and Nick and Jess’ ‘whiteness’. While this embrace of multiculturalism is a collective rewriting of what race might mean in contemporary society, we have not really decided what new conceptual formations are actually advantageous to have in a post-racial society. Right now, this experimentation seems to be a conscious riffing and sampling of previously accepted tropes, at least for the character of Winston, than it is an expanded field of possibilities in which we can remake the boundaries of ‘blackness’ as we damn well please. I, for one, am hoping that the writers can find their way to creating such a hybridized character in the imaginary space of TV land; for Winston is just as much a blank slate for forming a character as he is a mirror for holding up our expectations… That kind of challenging image of blackness would be more than welcomed by this particular writer. Jorge Rivas. 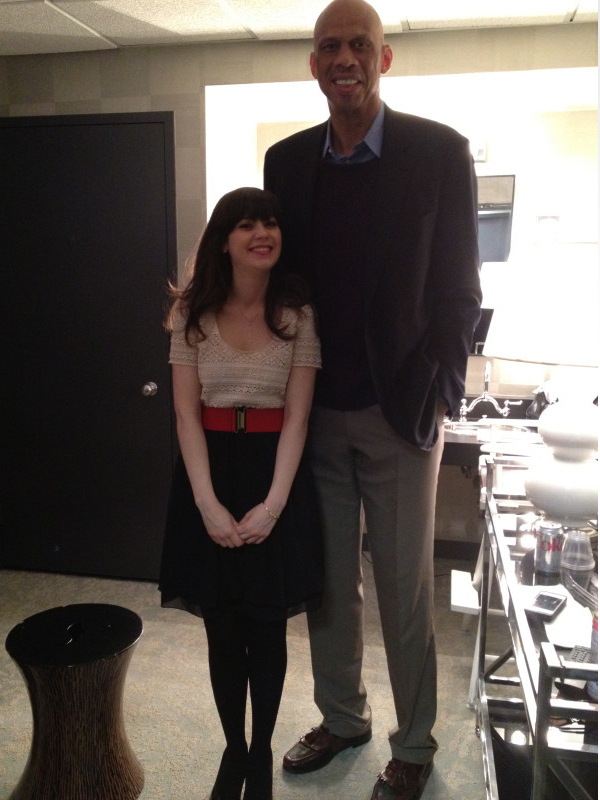 “Kareem Abdul-Jabbar reviews ‘Girls,’ Calls Donald Glover role ‘Some Jungle Fever Lover’,” on Colorlines.com, February 1, 2013 (accessed March 24, 2013). Paul Tassi. “New Girl, We Have to Talk About Winston,” on Unrealitymag.com, April 18, 2012 (accessed March 24, 2013).